Researchers from the University of Southampton are investigating how to help deaf people, who have received a cochlear implant, to get more enjoyment from music. Music professor David Nicholls and Dr Rachel van Besouw from the University’s Institute of Sound and Vibration Research (ISVR) have secured a £109,000 grant from the Arts and Humanities Research Council to work with patients from the South of England Cochlear Implant Centre, based at the University. Cochlear implants allow people with severe-to-profound hearing loss, who do not substantially benefit from conventional hearing aids, to perceive and understand speech. However, the current technology often cannot cope with the complexities of music. 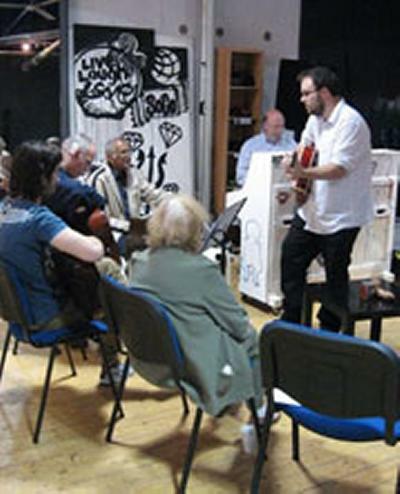 Through a series of innovative music workshops, in conjunction with Southampton Community Music Project (SoCo), this project will explore aspects of music that can be appreciated by cochlear implant users through a variety of listening, computer-based and practical activities. This knowledge will be used to guide the development of music rehabilitation materials and compositions specifically for cochlear implant users. The two-year project will conclude with a public seminar and performance at the University of Southampton. “We want to build a computer tool kit of listening exercises that people can listen to at home, which will help them to distinguish, recognise and appreciate different musical sounds,” adds Professor Nicholls.